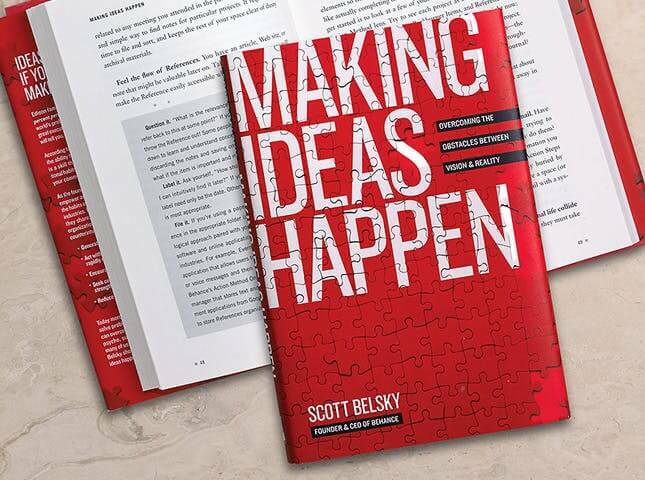 Book Review: Making Ideas Happen. March 14, 2018 - No Comments! The book is organized broadly into three areas: Organization and Execution, Community, and Leadership Capability. 1. Independent Creative Working for yourself (freelancer) or from home or on contractual basis. 2. Managing team of creatives working on one or a broad spectrum of different technologies/products/projects. 3. Finding it hard to say no when it matters the most. *This book is full of ideas and action steps for that. 4. A creative that struggles with project management, timelines and tasks, this book outlines a very practical system for actually getting things done daily. I am a creative person and so with most of the creatives, one of my least favorite things is spending time on the details and not on the ideas. But, I know it is essential and necessary and I am actually pretty good with the details, however most of my productivity plans have failed in the past. That is why when I read what this book was about I got excited. Instead of having plans, motivations etc it promises to have a system designed to capitalize on my strengths and rather than just remind me of my weaknesses it helps me to strengthen those areas. The plan is called ACTION METHOD. 1. Design matters when it comes to your to do list. He points out that we need to advertise to ourselves in order to keep our own attention. 3. The real world parables and stories to illustrate the points were challenging and applicable. I enjoyed the fresh point of view of Scott Belsky and his take on issues such as “best practices”, “reactionary workflow”, “leadership”, “working with a team”, and “utilizing the power of community”. This book is worth the read. If you do freelance work or are thinking about dropping the 9 to 5 and working for yourself, do yourself a favor…and buy the book, read it and the most important point is "Get Practical and Take Action".